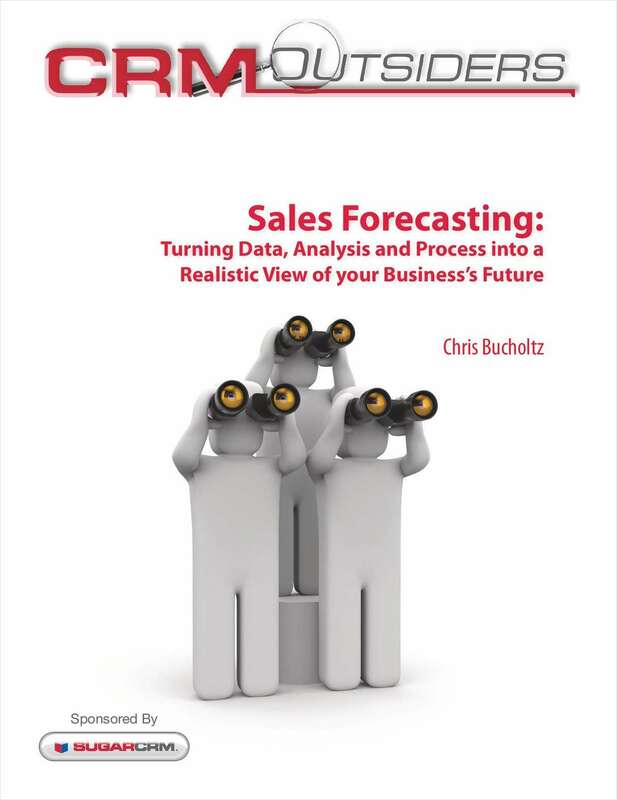 "Sales Forecasting: Turning Data, Analysis and Process into a Realistic View of your Business's Future"
Free White Paper: "Sales Forecasting: Turning Data, Analysis and Process into a Realistic View of your Business's Future"
Sales forecasting is often looked upon as a black art. The wide variety of approaches and strategies used for forecasting does little to dispel that view; approaches vary from business to business and from division to division, and can vary from a sales manager's best guess to a process highly reliant on analytics technology. The number of people that know how to do it well is remarkably small, and yet it's a critical tool for any business.